My heart skipped a beat! So so so cute! Thanks for making me so happy right now..
My heart has just melted, Christel! So adorable. I want a dog so badly. I bet this one has stolen many! 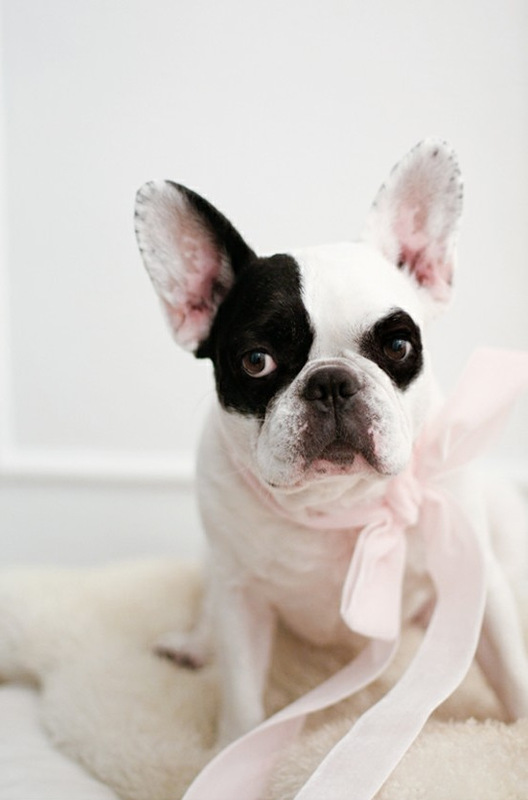 i love french bulldogs too!!! there's something so refined about their grumpy little old man faces. and those ears! who couldn't love those ears?? My heart skipped a beat too. cute post! adorable! and a pink bow to boot! These are definitely my favorite dog. They have the best personalities!